Kevin Harvick’s No. 4 Jimmy John’s Ford Fusion for Stewart-Haas Racing (SHR) will have a different look for a second time in 2018 when the Monster Energy NASCAR Cup Series arrives at Indianapolis Motor Speedway for Sunday’s Brickyard 400. This weekend, the No. 4 Jimmy John’s new 9-Grain Wheat Sub Ford Fusion that features a brand-new product from the Illinois-based sandwich shop. The arrival of the new 9-Grain Wheat Sub marks the first time Jimmy John’s has added a new bread to its lineup in more than 20 years. Like the traditional French bread, the new 9-Grain Wheat Sub will be freshly-baked in-store every day. It is the latest in a series of products that Jimmy John’s has rolled out this year as a part of the Freak Yeah campaign, including the popular Kickin’ Ranch®, the 16-inch Giant Sandwich and a sliced version of Jimmy John’s World-Famous Pickles, all of which can be applied to the new 9-Grain Wheat Sub. Long known for being “Freaky Fast” and “Freaky Fresh,” Jimmy John’s is now expanding that message in its new campaign to celebrate the freaks who work for Jimmy John’s and their obsession with making the perfect sandwich for their customers. To reach Harvick’s level of success this season – winning a series-best seven points-paying races – it takes a freakish commitment. Harvick and the No. 4 team are freaks about winning, which makes the partnership with Jimmy John’s a perfect fit. The celebration of the Jimmy John’s new 9-Grain Wheat Sub begins in close proximity to where the company began. Jimmy John’s was founded in 1983 by then-19-year-old Jimmy John Liautaud approximately 120 miles from Indianapolis Motor Speedway in Charleston, Illinois. Indianapolis is also a track where Harvick and his team have been freaky fast throughout his career. In fact, Harvick won from the pole position in only his third Cup Series start at the historic speedway in 2003, when he finished 2.758 seconds ahead of runner-up Matt Kenseth. In 17 Cup Series starts at the 2.5-mile oval, Harvick has one win, five top-five finishes and 11 top-10s to go with his 181 laps led. Safe to say, Harvick and the No. 4 Jimmy John’s team have been the freaks of the Cup Series field in 2018. They lead all competitors with seven points-paying wins, 18 top-five finishes, 21 top-10s, 1,198 laps led and 40 playoff points. 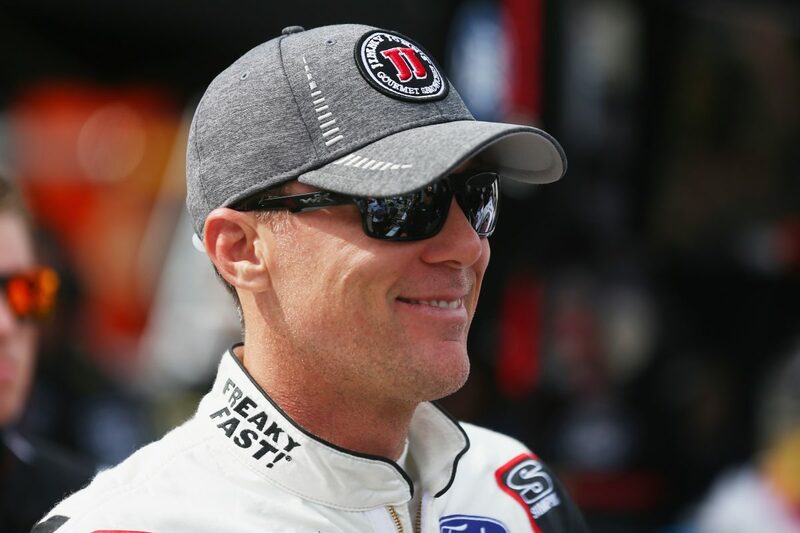 A win for Harvick and the Jimmy John’s team at Indianapolis in Sunday’s Brickyard 400 would add to those freaky statistics and put the team in an even better position as the NASCAR playoffs begin one week later. Talk about the history and prestige of the Brickyard 400 at Indianapolis Motor Speedway. What was it like to win the Brickyard 400?